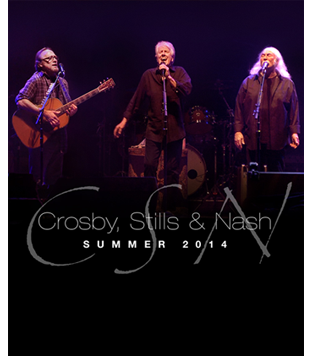 On the heels of their sold out March 2014 tour, Crosby, Stills & Nash have announced additional U.S. summer tour dates. Adding to their already announced July tour, the new dates begin August 6 at the Broward Center in Fort Lauderdale, FL. The group will perform songs from their extensive catalogue, as well as new material from each member. Advance tickets are available through the official CSN website at www.crosbystillsnash.com. For tickets and information click here: http://bit.ly/CSNTour . The summer tour currently runs through October 4 with a show at the Greek Theatre in Los Angeles, CA. Once again, CSN will be accompanied by its backing band featuring: Shane Fontayne (guitar), Steve DiStanislao (drums), Kevin McCormick (bass), James Raymond (keyboards), and Todd Caldwell (organ). David Crosby undertakes a sold out solo tour in the U.S. in April in support of CROZ, his first solo release in 20 years, five (5) sold out shows at the Troubadour in Los Angeles, and two (2) sold out shows at Great American Music Hall in San Francisco. 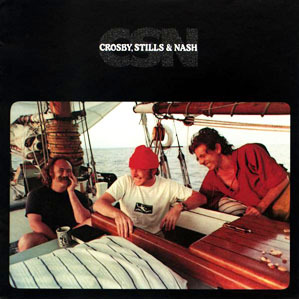 The album was released January 28 on Blue Castle Records, the label Crosby and Nash founded in 2011, and debuted at #36 on the Billboard 200 chart. Stephen Stills just announced a 17-date solo tour, which starts May 8th in Santa Cruz, CA and ends on June 3rd in Tucson, AZ. He recently toured solo and with The Rides, his blues-rock trio with Kenny Wayne Shepherd and Barry Goldberg; their album Can’t Get Enough was released last summer. Carry On, a 4-CD box chronicling Stills’ career―produced by Nash and Joel Bernstein―also came out in 2013. Graham Nash recently wrapped a solo tour―followed by an ongoing book tour for his long-awaited autobiography Wild Tales: A Rock & Roll Life, published in September by Crown Publishing Group. He will be performing two solo shows at the brand new City Winery in Napa, CA on April 29 and 30. Nash also exhibited his artwork and photography throughout 2013. This summer, CSN will be donating $1 per ticket sold, to charity. And, excluding VIP and special benefit seat packages thru their official website, all tour tickets sold to the general public are priced under $100. Details and complete tour schedule are available at www.crosbystillsnash.com. Special benefit seats are available through www.guacfund.org. More than four decades since CSN first harmonized in Laurel Canyon, and played its first-ever concert as a trio at the legendary Woodstock festival, its members continue a creative partnership that is one of the most influential and enduring in music. David Crosby, Stephen Stills, and Graham Nash have each been inducted into the Rock and Roll Hall of Fame two times―with Crosby, Stills & Nash, and a second time with The Byrds, Buffalo Springfield, and The Hollies, respectively. They are also in the Songwriter’s Hall of Fame, honored both for CSN as a group, and as individual solo artists. Crosby, Stills, & Nash join forces for their first live performance video in over 2 decades! Filmed during their 2012 tour, CSN 2012 includes many of the trio's classic hits, some new and unreleased songs, and a rare performance of "Suite: Judy Blue Eyes." The disc also includes 'A Conversation with David, Stephen and Graham,' plus interviews with their band and crew. A must-have for any CSN fan. Crosby Stills and Nash LP "CSN"
An album cover for the ages - folk-rock perfection! Crosby Stills and Nash's 1977 long playing album "CSN" is a masterpiece of harmonies that resonate to the core.